As trading on the Nigeria Interbank Foreign Exchange (NIFEX), which allows the exchange rate of the naira to be market-driven commences today, the Central Bank of Nigeria (CBN) has moved to change the guidelines for the selection of FX Primary Dealers (FXPDs) who shall deal in wholesale forex transactions with the CBN. Last Wednesday, the CBN had unveiled the guidelines for the commencement of a flexible exchange rate regime, adding that it would appoint eight to 10 primary dealers, whom the central bank Governor, Mr. Godwin Emefiele, referred to as “Grade A” dealers. Others were classified as “Grade B”, whom the CBN termed as non-primary dealers, but shall remain valid and eligible to participate in the market. It had also said interbank trading under the new guidelines would begin today, while tenors and rates for the naira-settled OTC FX Futures would be announced on June 27, 2016. Under the guidelines for primary dealership in forex products, the CBN also stipulated that authorised dealers would be required to have a minimum shareholders’ fund unimpaired by losses of at least N200 billion, a minimum of N400 billion in total foreign currency assets, and minimum liquidity ratio of 40 per cent. The names of the 8 or 10 primary dealers were to be released by the CBN last Friday. 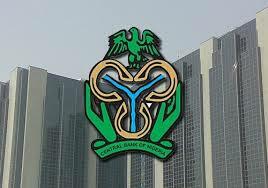 However, the segmentation of the market into “Grade A” and “Grade B” dealers by the CBN resulted in concerns that limiting the market to eight or 10 primary traders or banks with access to forex from the central bank could lead to the emergence of a cartel of favoured banks and price-fixing among them. The concerns were further heightened when banks started demarketing one another in the run up to the selection of the primary dealers last Friday, compelling the CBN to alter the rules. A top CBN official, who confirmed the decision not to limit the number of primary dealers in the forex market to eight or 10 banks, said under the revised rules, 15 international and national banks would be eligible to trade with the CBN. He said only regional and merchant banks, owing to their size, had been excluded, effectively making them “Grade B” dealers. According to the CBN source, “Before our announcement on Friday, we got to discover that banks had started to demarket one another and this is not in the interest of the market. The CBN official further explained that since the 15 international and national banks would be eligible to participate as primary traders, the requirements for shareholders’ funds of N200 billion, among others, had been temporarily shelved till December 31, 2016. “The requirements for shareholders’ funds of N200 billion, N400 billion in total foreign currency assets, and liquidity ratio of 40 per cent have been shelved for now till December 31, when we would have assessed the capacity of the banks to operate as primary dealers,” he said. He added that with the revision of the guidelines for primary dealership, any concerns over the emergence of a cartel and possible price-fixing had been allayed. Although the CBN official declined to disclosed the names of the 15 banks, banking sources said that the CBN had zeroed in on Access Bank Plc, Citibank, Diamond Bank Plc, Ecobank, Fidelity Bank Plc, FirstBank Nigeria Limited, First City Monument Bank, Guaranty Trust Bank Plc, United Bank for Africa (UBA) Plc, Stanbic IBTC, Standard Chartered Bank, Union Bank Plc, Unity Bank Plc, Wema Bank Plc and Zenith Bank Plc. Should the 15 banks be appointed, this would put paid to speculation in the market that CBN would only select the Tier 1 and top Tier 2 banks as primary traders.